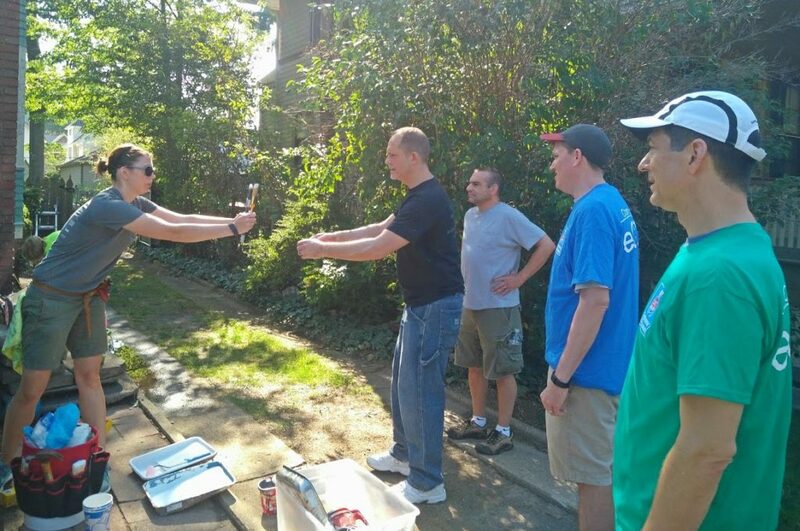 LUMC represented one of four entities that contributed to this volunteer project’s success. The freshly-painted century home sits on Belle Avenue, its vibrant coloring the product of an unlikely four-part collaboration. Teamwork indeed made this homeowner’s dream work. 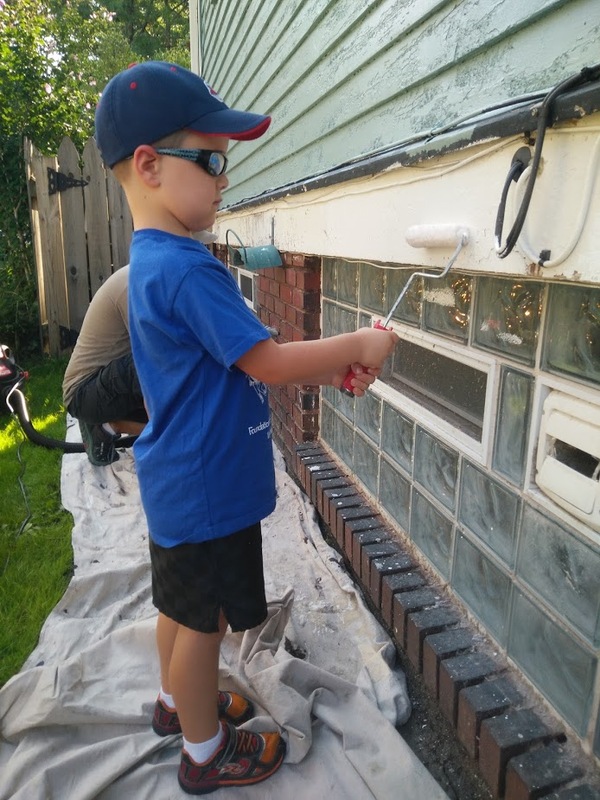 LakewoodAlive recently teamed with First Federal Lakewood, Dependable Painting Company and Lakewood United Methodist Church (LUMC) to complete a beautification project for a family in the heart of Lakewood. 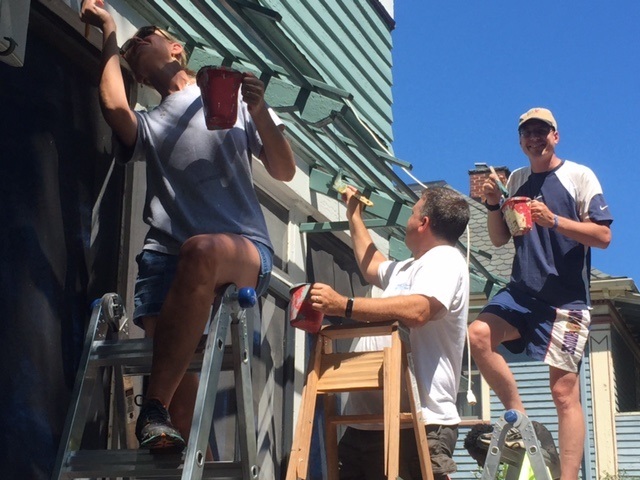 Each entity contributed toward the end result: A charming colonial home now sporting an attractive blend of “Jasper Stone” (base) and “Rare Wine” (accent) Sherwin-Williams paint. First Federal Lakewood made the ambitious project possible by generously funding the supplies through its continued support of LakewoodAlive. With professional painting materials in place, Dependable Painting put its expertise to work. 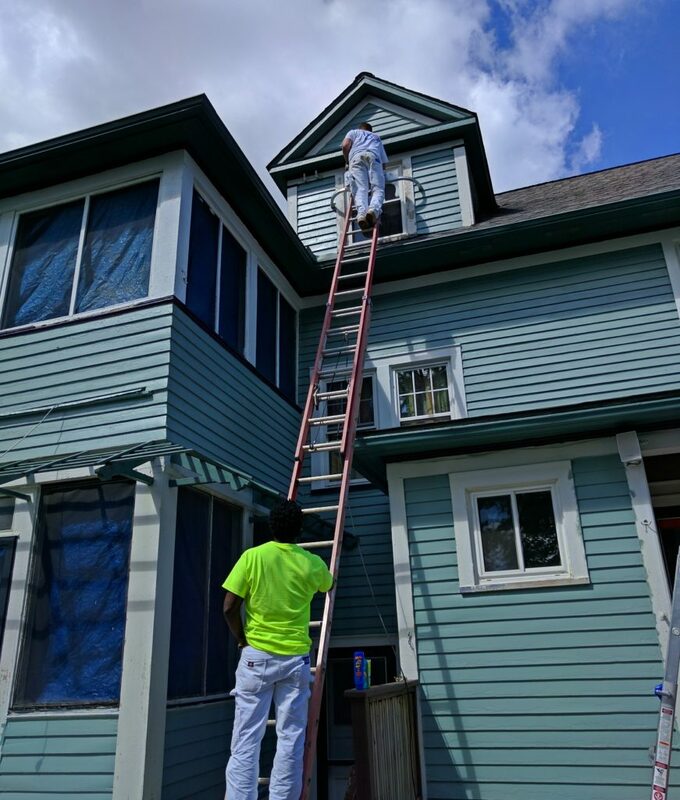 The Cleveland-based company specializing in commercial and restoration painting devoted significant staff time to prepping the house and painting those upper portions requiring tall ladders to access. 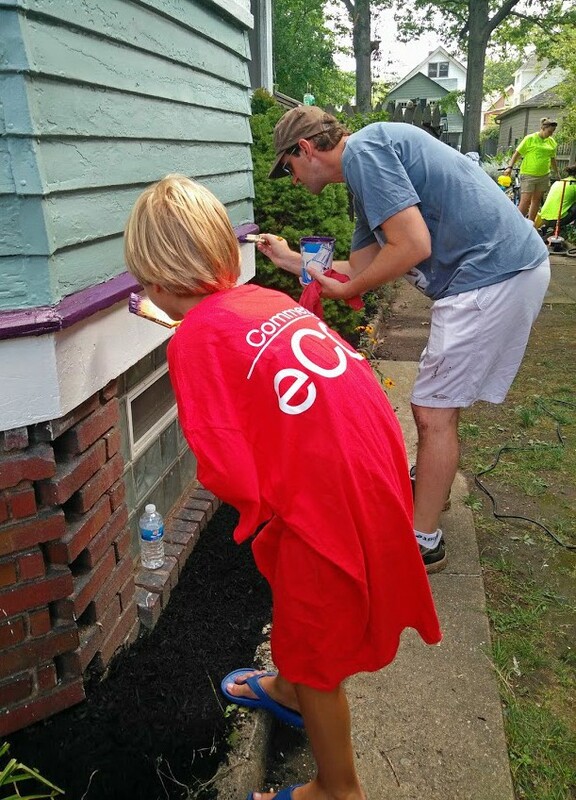 Once project anchor Dependable Painting had set the stage, a volunteer group from LUMC played a supporting role. 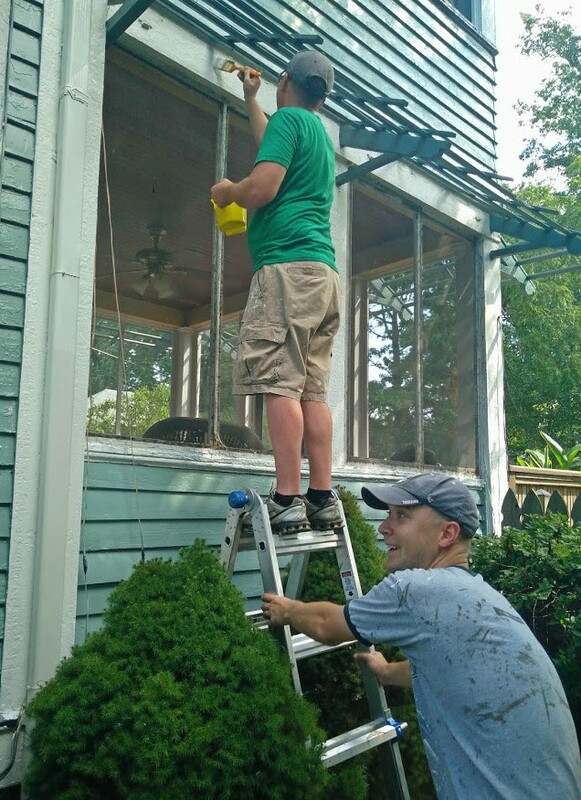 Volunteers from this Lakewood church – which in May completed a yard cleanup project in the Historic Birdtown Neighborhood in conjunction with LakewoodAlive – spent a recent afternoon painting the body of the house on Belle Avenue. 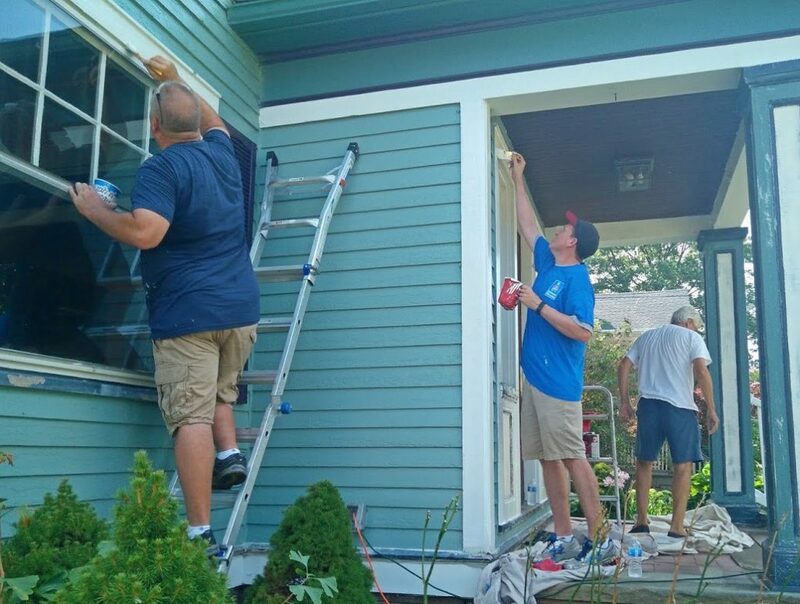 Members of LakewoodAlive’s board of directors and staff helped finish this volunteer project. Then on Saturday, August 20, approximately 20 representatives from LakewoodAlive arrived to finish the job. 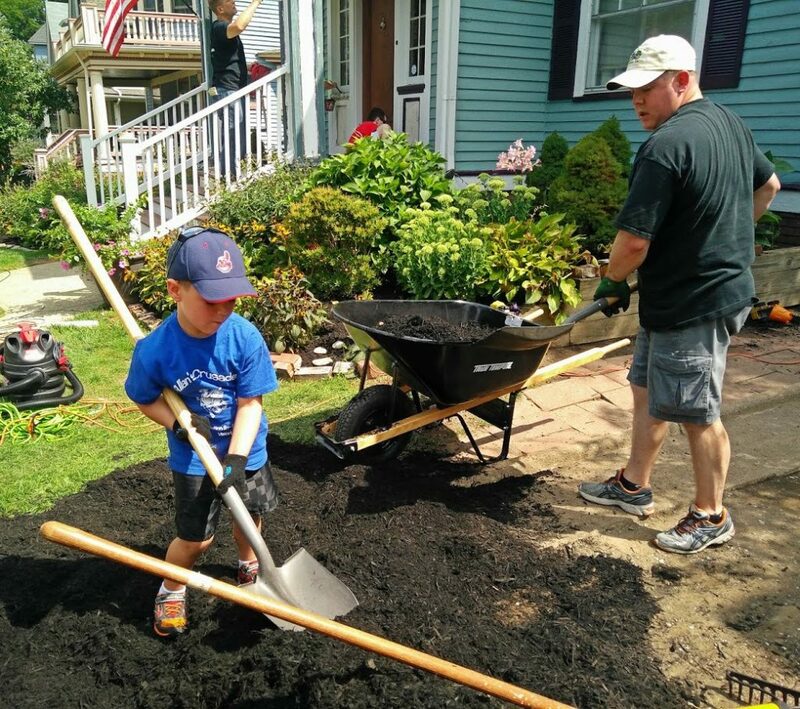 Comprised of members of LakewoodAlive’s board of directors, staff and their families undertaking an annual team-building project, the group painted trim and accents, cleaned the surrounding property and mulched the flower beds as a finishing touch. 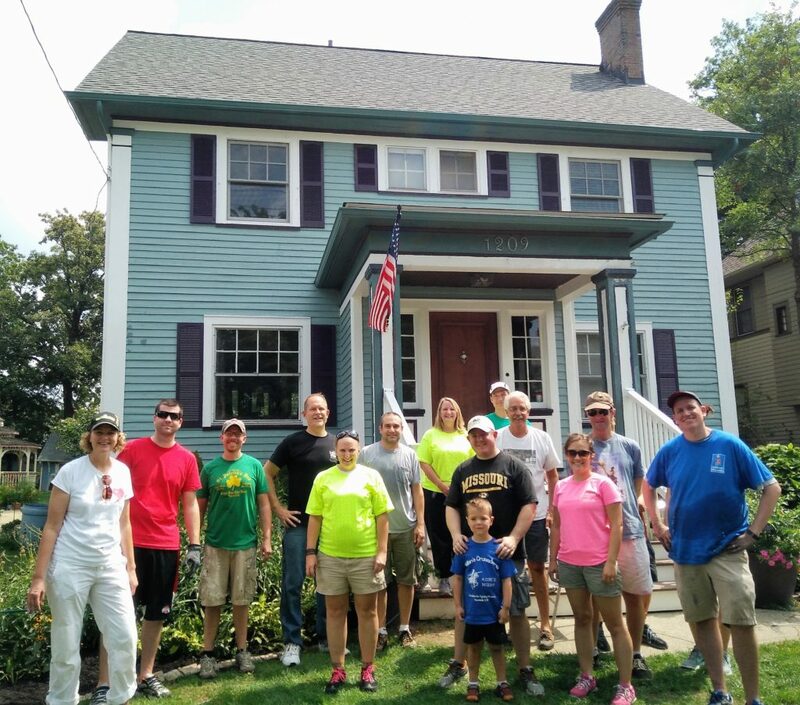 This project marks LakewoodAlive’s 27th completed volunteer housing initiative thus far in 2016, as we’re fostering and sustaining vibrant neighborhoods one house at a time. For more information regarding LakewoodAlive’s Housing Outreach Program, contact Urbanek at aurbanek@lakewoodalive.com.